The notion of writing a children’s book is not as easy as many consider it to be. There is a huge difference between content for children and for adults mainly because of one thing and that is – the use of illustrations. Illustrations are in books for adults but children’s books are usually filled with drawings and images. 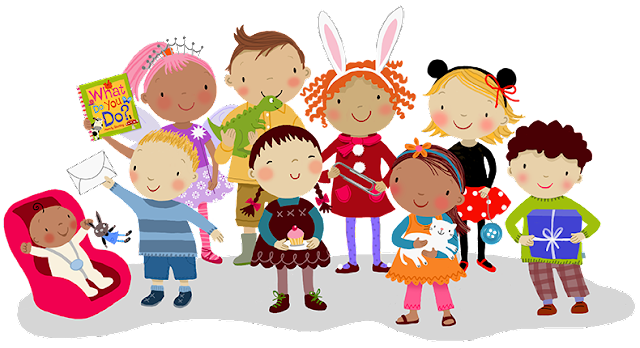 For that reason, the popularity and demand for illustrators is increasing at a rapid pace and almost every children’s writer is looking for cheap children’s book illustrators. From the story of the book to the artwork needed for it, a children’s book is dependent on several elements. If you are new to the domain of illustrations then the first step is to work alongside the writer for the book and inquire with him regarding illustration creation. The writer can provide you with a brief outline of the content and you can create the relevant illustrations accordingly. You can also create rough sketches for each of the words the author writes and upon his approval; you can transform the sketches into a full-fledged illustration. It is not recommended to skip this step, as it will lead to many future adversities. You should not neglect it because it looks consuming instead you should give the storyboarding phase the most importance. The intricate details in illustration design matter the most. Children are meticulous about what they read and observe so they will certainly pay attention to details more so make sure to not leave any element out. The second most important step is of artwork creation. The entire notion of publishing books has been transformed digitally. Digital imprints of illustrations are now scanned into paper and even e-books are using digital illustrations. A professionally designed illustrator works the best for children’s books as young readers can feel closely connected to the book in that manner. You should know that writing and illustration creation are correlated, therefore, you cannot work on these two notions separately. You have to make them work simultaneously since one wrong step can adversely affect the entire content of your book. From the content tone to the art style, you have to select everything under this phase. You need to exhibit persistence and consistency when you create illustrations. The realm of books is a vast one and you have to keep up with the latest trends at all times. Most children’s books heavily rely on illustrations and if there were not any illustrations then young readers would not prefer reading such a book. The key is to keep drawing and drawing and you will find your niche and style. Reaching out to book writers or employers is a good idea but you should not start that way. You need to practice first in order to hone your skills and then you will be able to explore the horizons of illustration design. The more you draw, the better you would become at drawing and then you can persist constant consistency in your artwork. At times, some illustrators just cannot get the inspiration they need for drawing. Many options and alternatives out there can help you in acquiring inspiration for illustration design. It could be a children’s TV show or any piece of artwork. You can get inspiration from almost anything and you can transform it according to the requirements of the book you are making the illustration for. It is almost impossible to ever run out of ideas but all you need is an imaginative mindset for it. You have to welcome every form of creativeness since that is how you can learn new aspects of illustration design and implement them in the illustrations you create as well. There is no skill in the world that has been perfected from the start. Whether it is writing books or designing illustrations, it is true that everyone starts from scratch. If the illustration you create is not accepted in the first try then you should not fret, as it is not the end of the world instead it is simply the start of your illustration-designing journey. If illustration is your passion then you should not give up halfway instead, you need to exert your maximum efforts in order to improve since the demand for illustrators is profusely increasing in several fields and industries. The first attempt does not have to be good so you should keep on drawing until you create a piece of art that simply sticks out.